You are here: Home / Healthy Eating / What is Carb Cycling and How Can it Help You Lose Weight? Carb cycling is the foundation for a variety of eating plans which alternate between high-carb and low-carb meals. Day to day carb cycling is usually broken down into four different levels. For this article we will call them Easy, Classic, Turbo, and Fit. Carb cycling routines can be adjusted to cater to individual fitness and nutrition goals, but the foundation is low carb eating. More people are taking advantage of the benefits of carb cycling due to its flexibility, compared to more struck low carb/no carb plans that can lead to serious craving and yo yo dieting. Depending on the Carb Cycling program you choose (there are several programs online and books available), this way of eating even allows days where you can reward yourself with your favorite foods without jeopardizing your progress (it’s encouraged to benefit your metabolism and keep you from going into starvation mode. With the perfect blend of healthy meals and a little indulgence, many experience some notable weight loss with carb cycling. Even with the slight variations between each meal plan, there are a few basics that remain the same in most carb cycling plans. Each day, you’ll eat at least five meals over the course of the day. The size of the meal will of course vary (some could be more of a snack). This number has been researched and proven effective because it helps keep your metabolism healthy and blood sugar levels normal. Your eating overall will either be high carb, low carb, or in some plans no carb. You’ll eat your first meal within 30 minutes of waking up. Each carb cycling breakfast is high in protein and whole carbohydrates. After your first meal, you’ll space the remaining meals 3 hours apart from each other. Depending on your plan, and what day you’re scheduled to follow, these meals will either be high-carb or low-carb combinations. Drink wise, water will be your main beverage and is very important to healthy weight loss and metabolism. This plan utilizes 3 crucial components to weight loss. Each carb cycling routine provides the body with the ideal combination of protein, healthy fats, and carbs. Protein is necessary for building muscle mass and burning calories. Unsaturated fats assist in developing healthy eyes and a strong brain. They keep your energy high, which means you won’t feel weak or tired while carb cycling. Lastly, they help build a solid protection from heart disease, stroke, and even depression. Carbs fuel your muscles and organs. They can be consumed in healthy sources such as fruit and vegetables and non-healthy sources such as cake and processed food. Of course you want to focus on the healthy sources, but because you can have high carb days, you can enjoy some indulgence of the sugary variety. This is geared toward those people who have a hard time giving up fattening comfort foods. With this plan, every other day it’s ok to eat your favorite foods. Pizza and ice cream are all acceptable during your high carb moments and your low carb days will follow healthier guidelines. Although this plan is extremely flexible, you’ll still be bound by the basic rules of carb cycling. The Classic Cycle is one step above the Easy Cycle. It requires a bit more discipline but is still a common introduction to carb cycling. The Easy Cycle gives you the option to eat a high-carb reward meal every other day where the Classic Cycle only allows a satisfying reward meal once per week. The ability to indulge in some of your favorite foods makes this plan less daunting than the usual diet. If you’re looking to lose weight quickly, the Turbo Cycle is the plan to choose. Rather than alternating between high and low carbs every other day, this option pairs two strict low-carb days for every high carb day (2 on, 2 off). Your body will double the days its burning fat and your high-carb reward day will replenish your reserves. The high carb days are not full of junk and you can’t eat anything you want, but they are higher in carbs. Great for athletes and active individuals, the fit cycle gives you’re the nutrients you need to continue to excel in your athletic endeavors. This eating plan only incorporates two very low-carb days each week. The increase in protein and glycogen from the additional high-carb days creates an insulin sensitivity that soaks more carbs into your muscles. During your training or workouts, you’ll burn off those carbs rather than storing them as fat. 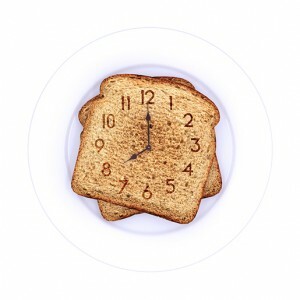 Having a good carb cycling plan is the key to the success of this method of weight loss. You need to do your research before trying this kind of plan. It can be empowering decision that seamlessly blends with every lifestyle, but it can be a challenge because you will have to plan out your meals and be very aware of what you’re eating. Being in control of your meal choices and satisfying your cravings with rewards puts you in control and gives you an emotional, mental, physical, and spiritual boost. No matter where you’re beginning, a clear and precise plan can give you results that serve as motivation and confidence to advance your weight loss goals. This is greater than a diet, it’s a complete improvement on your lifestyle through really paying attention to your eating habits. Even if you find that carb cycling is not for you, you will have PAID ATTENTION to what you are eating and THAT is key to weight loss. You’ll become more educated and informed, and that is key to getting lasting results.